A new build went up on the PTR yesterday. With it we get epic Jewelcrafting recipes. 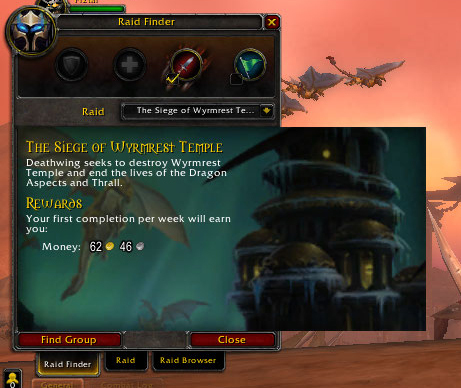 And the first half of the Dragon Soul raid is available on the Raid finder. Blizz also announced what item level will drop in the new raid. 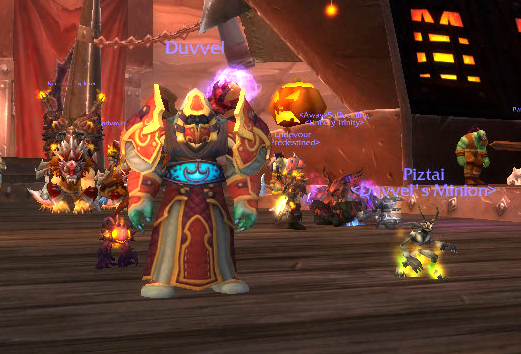 They also fixed my Warlock’s shoulders. There is still no way to get to the Darkmoon Faire. Although it IS marked on the in game calendar for Nov 6-12th. I did sign up for the Annual Pass that was mentioned at Blizzcon, so I will have access to the Mists of Pandaria Beta. w00t! A minor build is being deployed to the test realms, the main change is the addition of the Tyrael’s Charger from the WoW annual pass.